U.F. Shah is an Author and Spoken Word Artist, based in London with and academic background in Law. 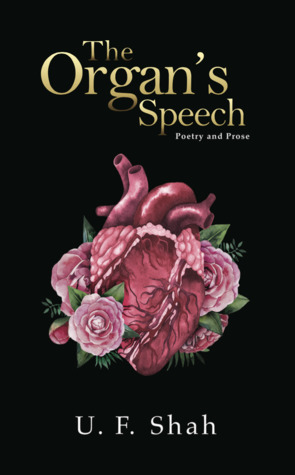 Her debut collection of Poetry and Prose is titled ‘The Organ’s Speech’. Not only does the collection take you on a journey of love and heartbreak, it attempts to dismantle stereotypes relating to mental health, womanhood, and abuse. U.F. Shah believes that poetry is a unique method of conveying messages from deep within the soul as well as having within it, the power to challenge mindsets. Make sure to follow U.F. Shah on both Instagram and Facebook for regular updates.